Q. How can I search for materials from off-campus? 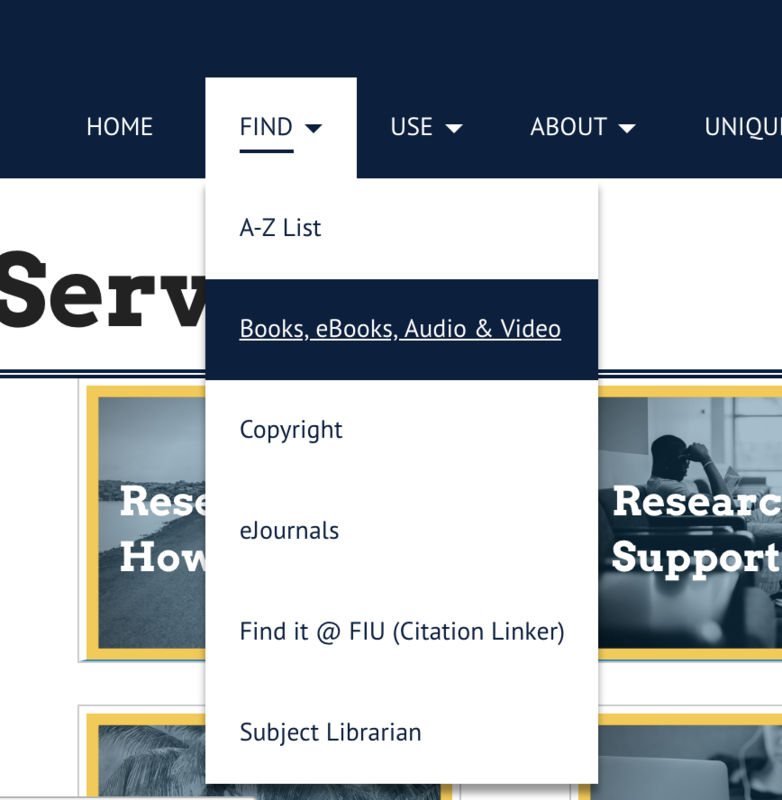 You now have access to materials in the FIU Library! Under "Find", choose "Books, eBooks, Audio, & Video"